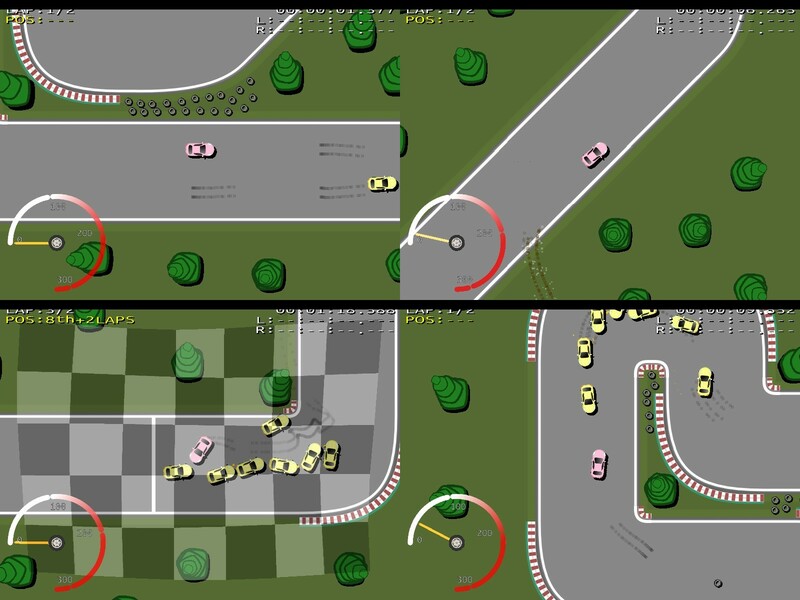 Dust Racing (Dustrac) is a tile-based, cross-platform 2D racing game written in Qt (C++) and OpenGL. 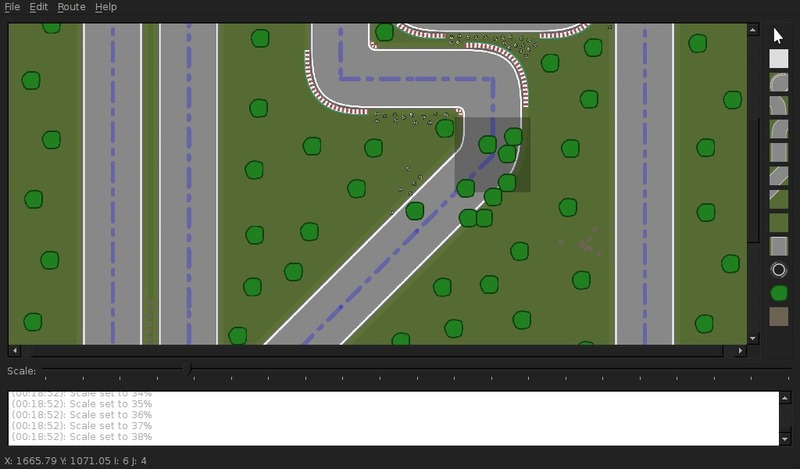 Dustrac comes with a Qt-based level editor for easy level creation. A separate engine, MiniCore, is used for physics modeling. CMake is used as the build system. Graphics are SVG-based (sources included) and and the editor is simple and has a flat learning curve. GPLv3 is named as the license, no special license is named for the graphics, so the same might apply. Dustrac's controls feel smooth and I love the object physics and the visualization of the trees.